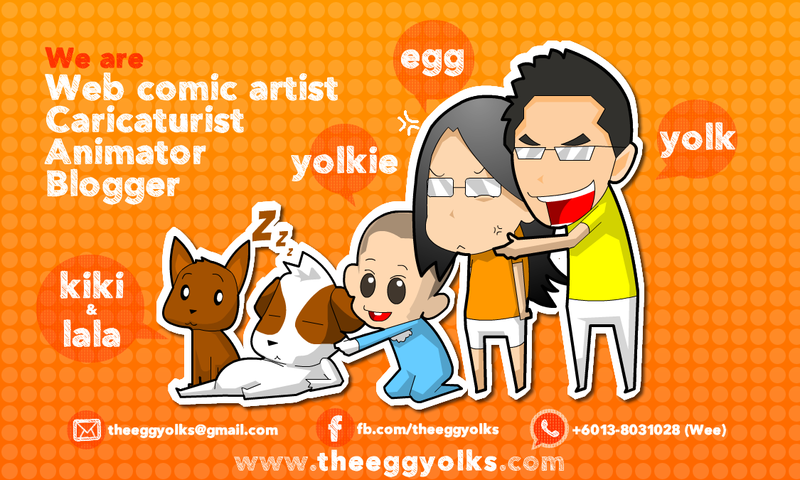 THEEGGYOLKS 蛋黃打点滴: Looking for hotel in Kuching? 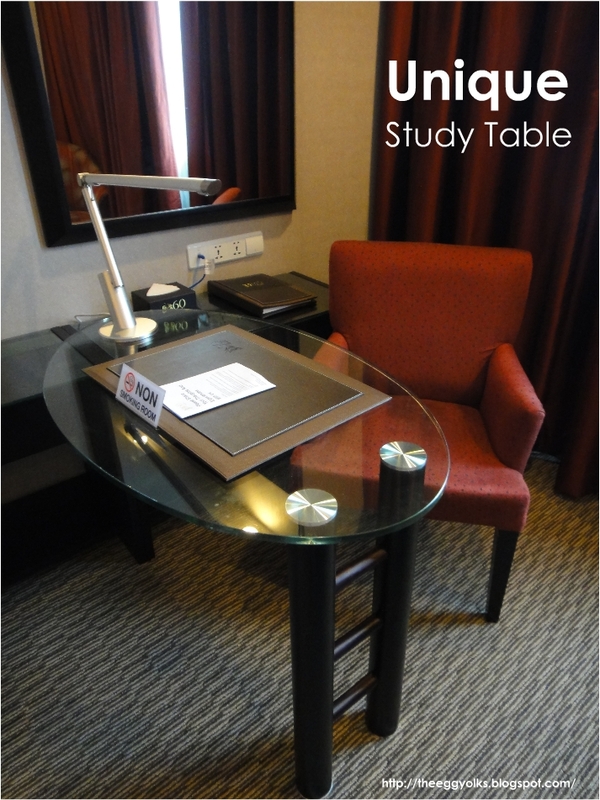 Looking for hotel in Kuching? To be honest, as a kuchingnite, I seldom stay in local hotels (after all, i have my own house >_<) and because of this, whenever, there are friends from other places wanted to visit Kuching, I have no idea where to recommend them. 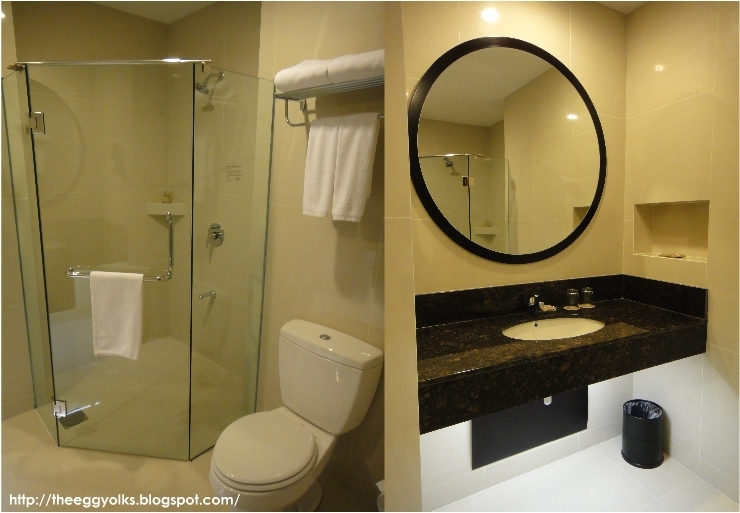 I roughly know the few "popular" hotels but as for their rating, I have no idea at all o_O". 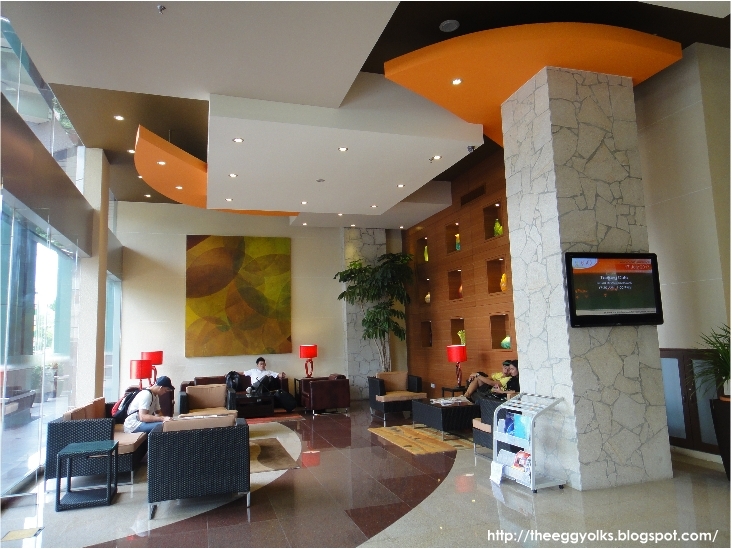 So today we would like to blog about a nice little hotel in Kuching. 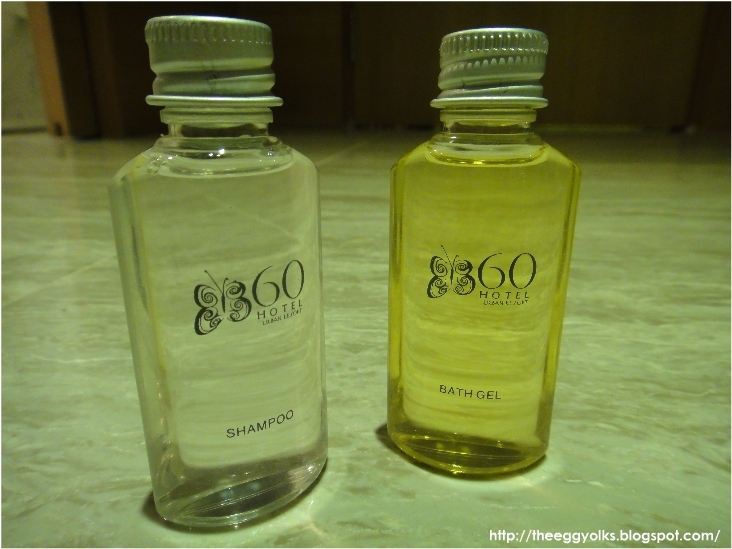 Just yesterday, we were given a chance to stay at 360 Urban Resort Hotel Kuching. 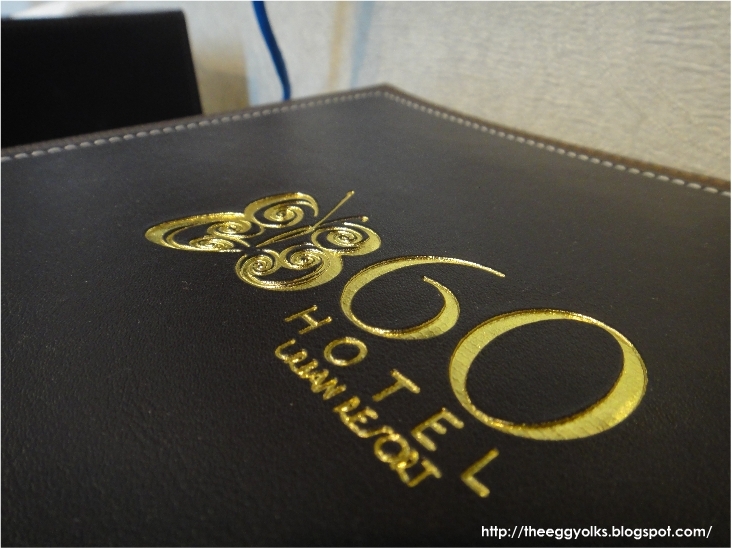 This hotel gave us such a great impression that we'll surely recommend our friends to stay here when they come to Kuching. Wonder what makes us feel that way? Read on! First of all, the price! 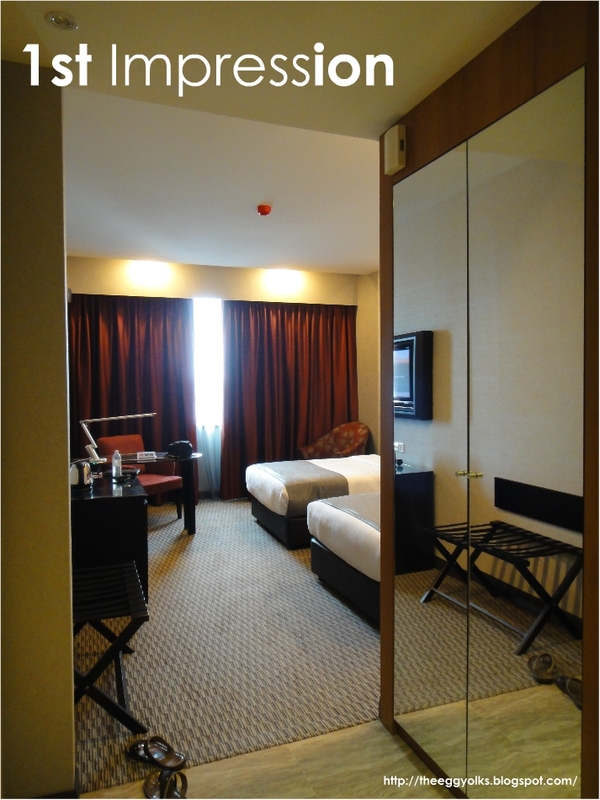 We stayed in their Superior Twin Room which cost RM 155 (normal) and RM 99 (low season). Ok, I can assure you that even at this price, the hotel is not those crappy stone-aged hotel with buzzing air-conditioner. 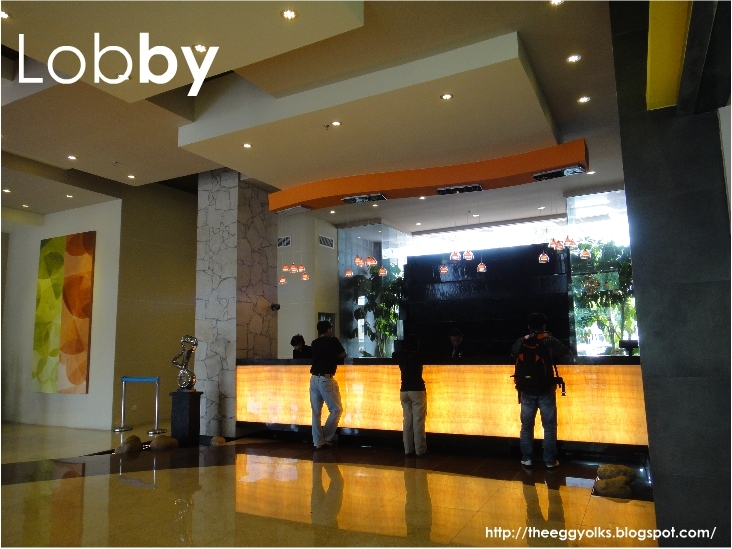 Let's look at the lobby. 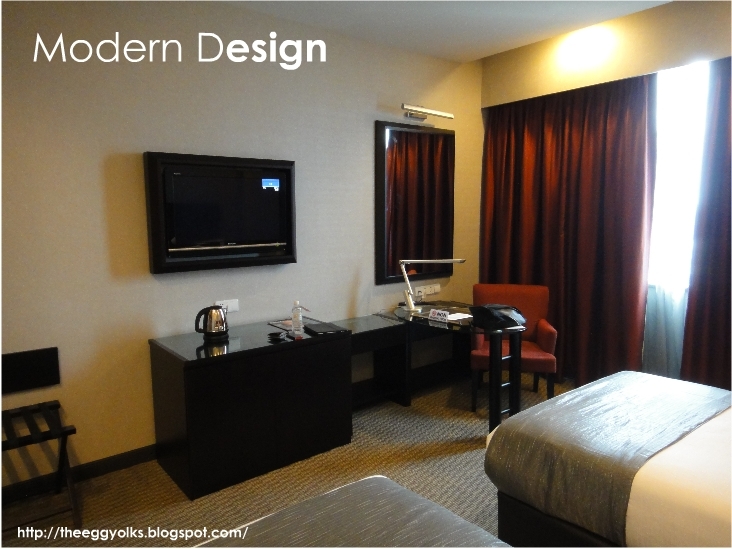 Very spacious, very cozy and very modern. 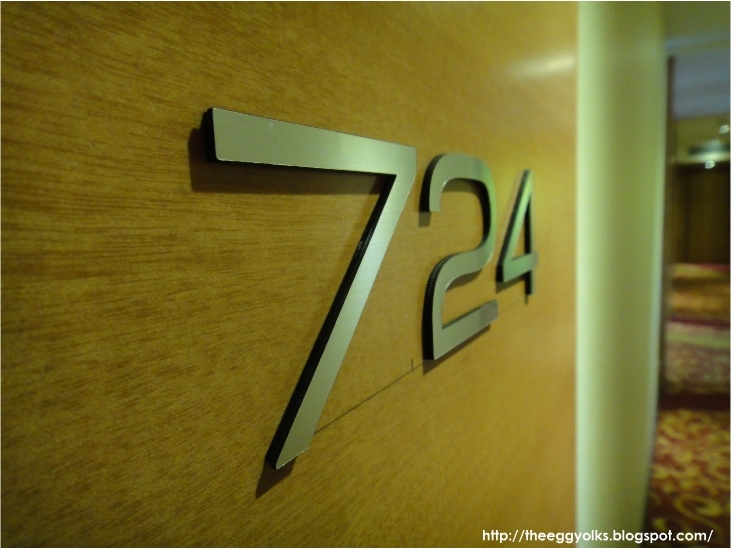 After checking in, we go straight to our room in the 7th flloor. 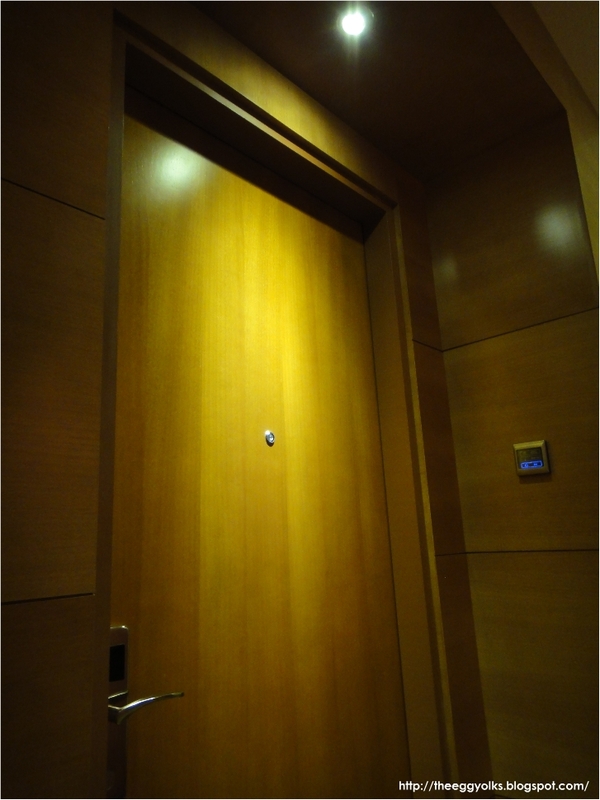 It's not the well designed corridors that attract us, but the Digital panels door bell! 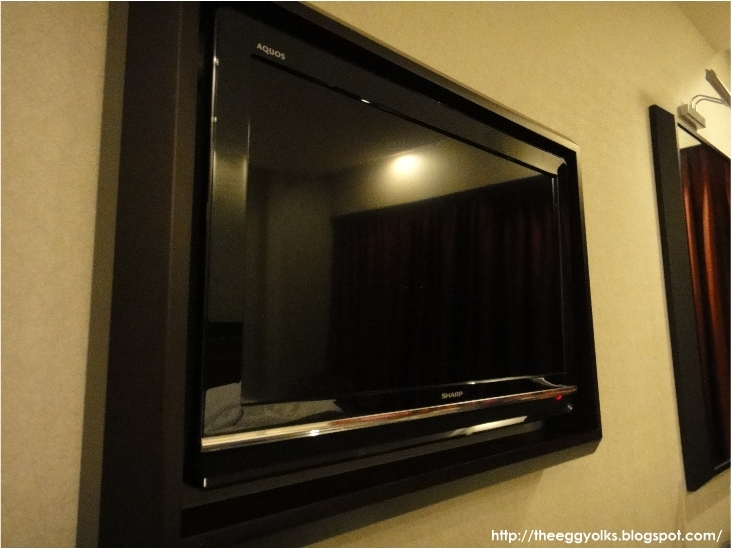 After staying in hotels in different states, this is the 1st time that we saw digital panels like this! 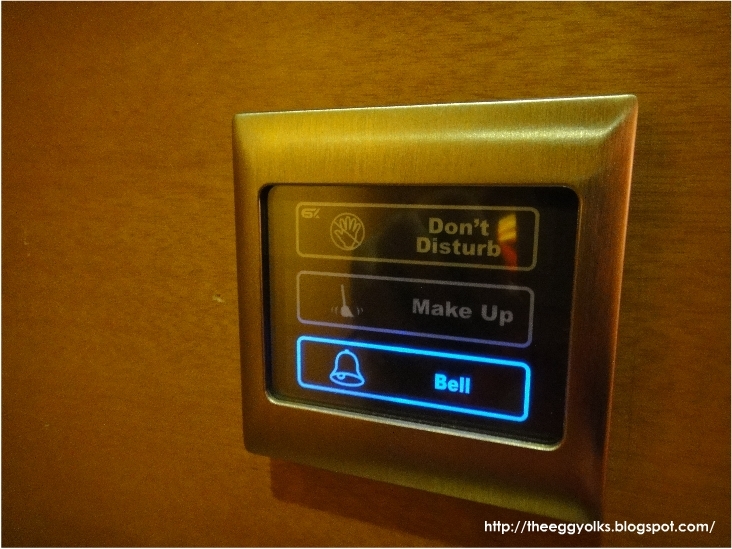 (sorry for our kampung-ness >_<) Instead of using the typical door signs, they used this digital panel. 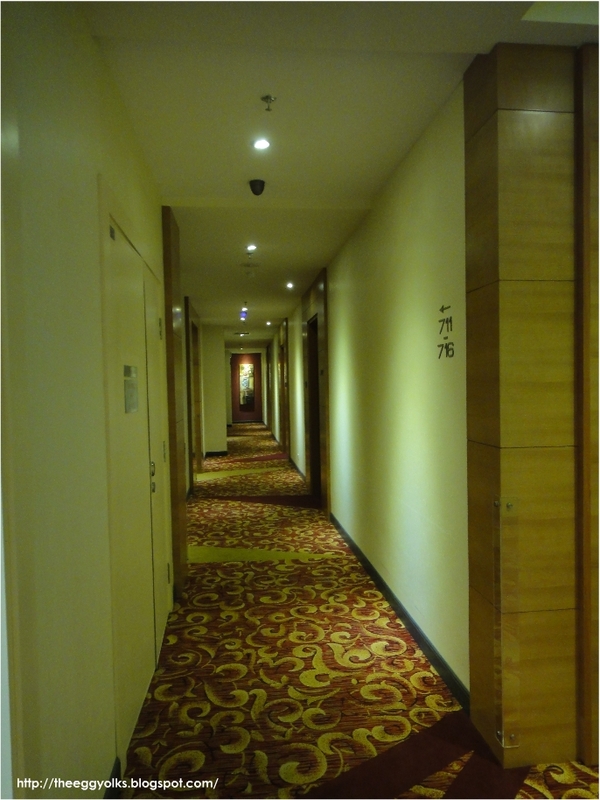 We continued into the room and we were very impressed! 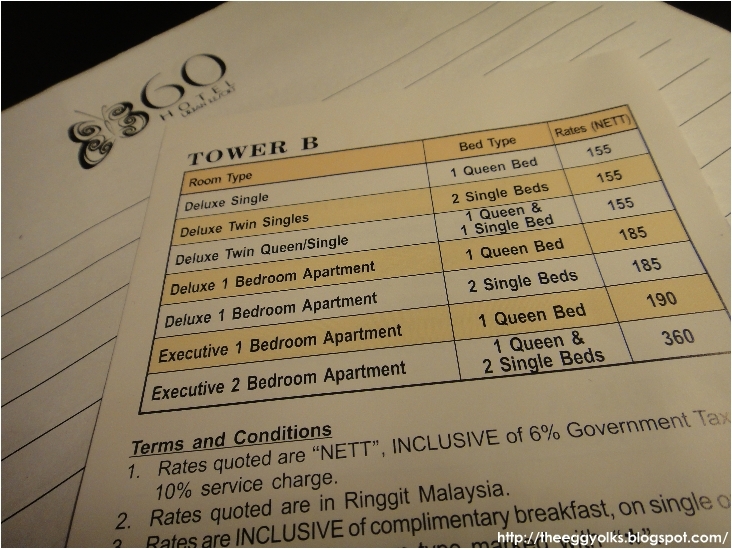 I think we won't get to enjoy the leisure of hotel like this with this type of price else where! 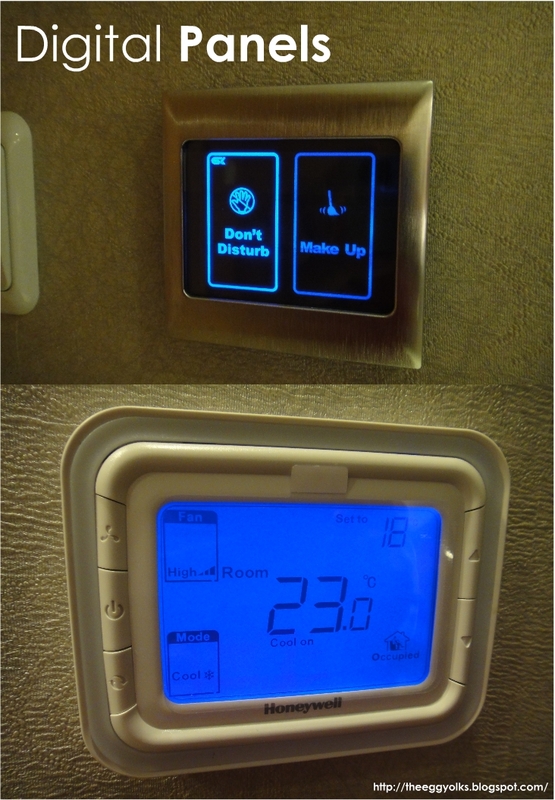 Here's some combo pictures of the interior of the room. Even the controls in the room was degitalised. Awesome! As for Egg, she'll check the toilet and make sure it's clean. After checking, she gave a thumbs up! 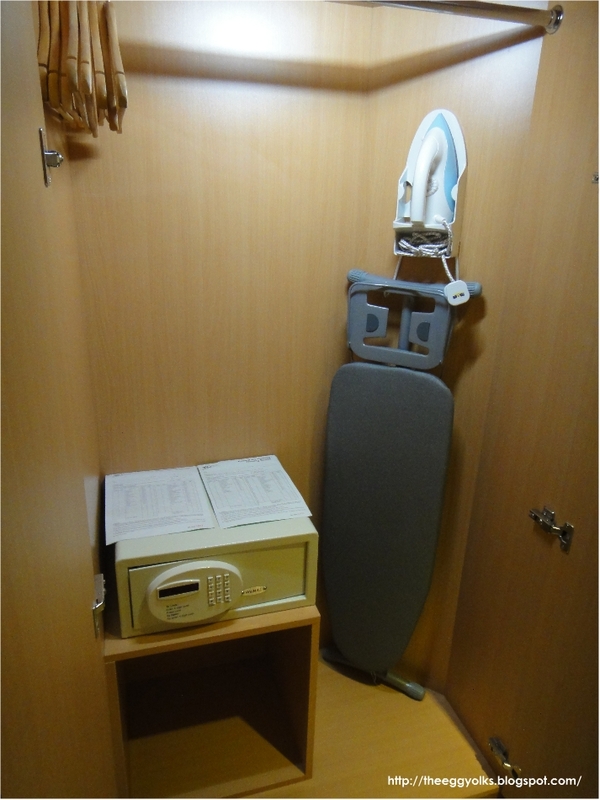 It's very spacious and of course, CLEAN! By the way, each room comes with complimentary breakfast for two. I guess, this is the only part we were not satisfy about the whole thing. The food provided in the breakfast buffet was way too limited. Not only in their variety, but also the quantity. 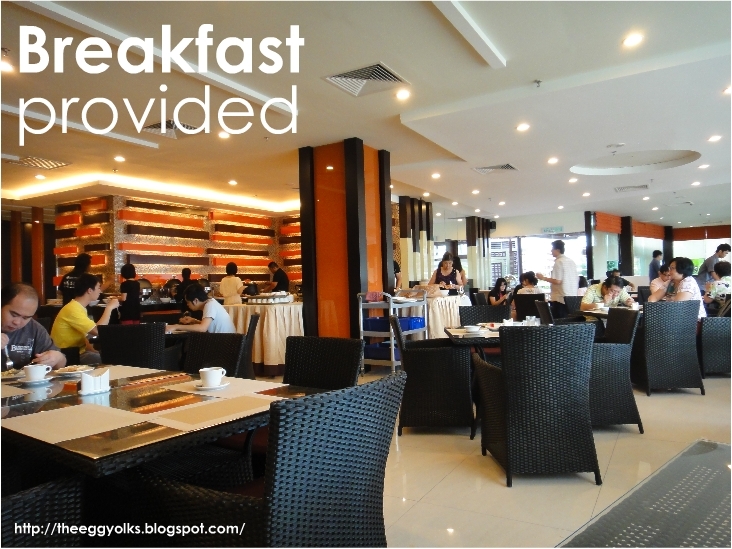 The management should make sure there's enough food for everyone or else, such great dining environment will be wasted. Let me name the food available (without pictures) fried mee hoon, Nasi lemak (sambal paste and peanuts), fried popiah, tomato bake beans, white porridge and Fried eggs. To be honest, we only ate some fried mee hoon and some fried eggs. That's basically how we felt about this hotel and we gave 5/5 for the environment and facilities, but 1/5 of the breakfast buffet. Hopefully they will improve the food in the future. 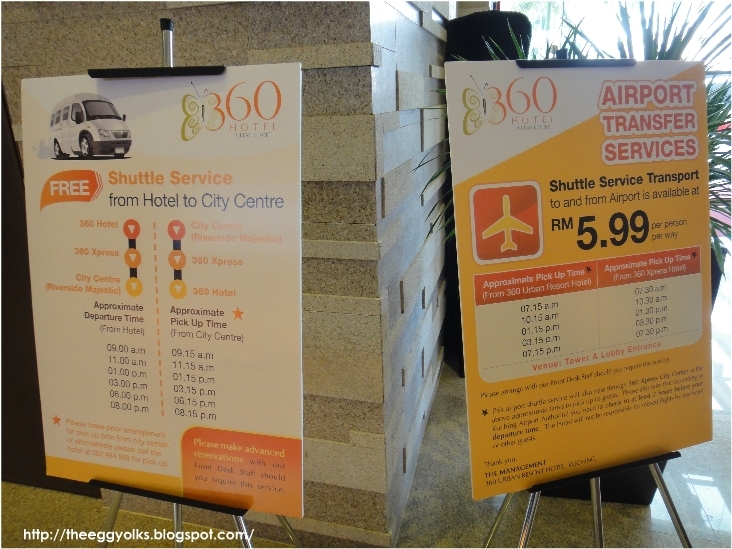 If you wondered about the transportation, the hotels do provide transportation to airport and also the city center.